Achtung! Nazis are one of the greatest threats to society in recent years, so let’s write a list you will Nazi coming. Generally, when you write a list article, it can take some real effort to find the entries to add to it. In the case of finding games with Nazis as the villains, that seems to be the exception to the rule. The more I researched, the bigger this list got. Nazis are considered evil, vile enemies, generally set alongside zombies and demons. The difference, though, is Nazis existed (and still exist) in real life. These are monsters that aren’t hiding under your bed or in the closet. They’re shopping at the grocery store next to you. They aren’t some myth or legend. They acted upon their thoughts of genocide and extermination of entire races of people during the Holocaust. So, since punching or scalping a Nazi is illegal, best take out your frustrations by killing digital ones. This list includes some of the very best video games that give players a chance to stop a very real evil that has existed, even if it’s fake versions. 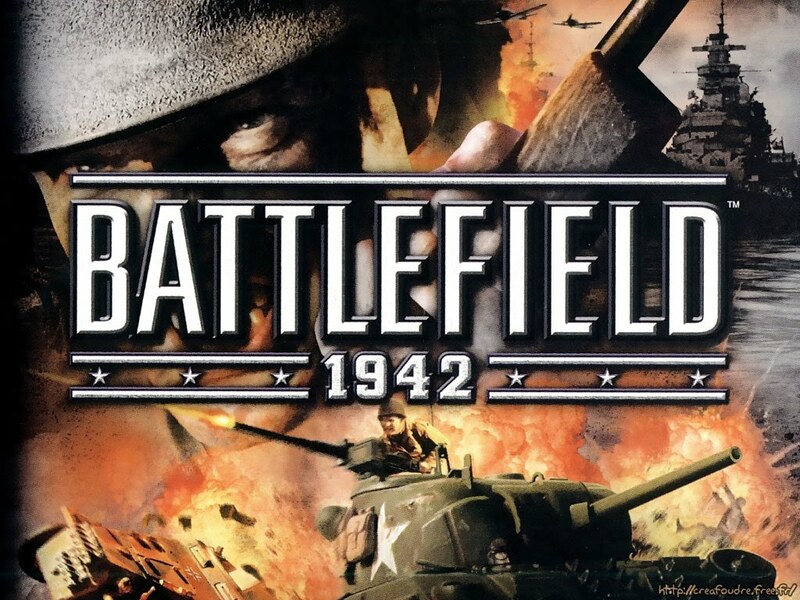 Battlefield started as a simple Allies vs. Axis shooting game called Battlefield 1942, developed in 2002. In this team-building first person shooter game, players chose to either be Allies or Nazis at start up and proceeded to choose their class and face each other or work cooperatively against computer controlled bots. Most other Battlefield games focus on other wars and eras, including Vietnam and a far-flung future war. But, the “direct” sequel Battlefield 1943 was released on the Xbox Live Arcade and Playstation Network as a digital only title in 2009. The game focused solely on the Pacific Theatre of Operations during World War 2, so the opposing team consisted solely of the Japanese Navy. Also in 2009, Battlefield Heroes was an EA free-to-play third-person shooter title that disguised the combatants as a Red team and a Blue team, although it was modeled after World War II. Call of Duty is often looked at as a standard copy-and-paste first person shooter series, nowadays. But, it buries its roots in World War II. The first three games in the series and their console spin-offs (Finest Hour and Big Red One) really helped standardize the FPS genre at the turn of the century. Through all five of these titles, players could play as different armies, such as the American, British, and Soviets. Axis was generally always the enemy. Call of Duty has since gone to Vietnam with their Black Ops story line, but started the entire story with Call of Duty: World at War. 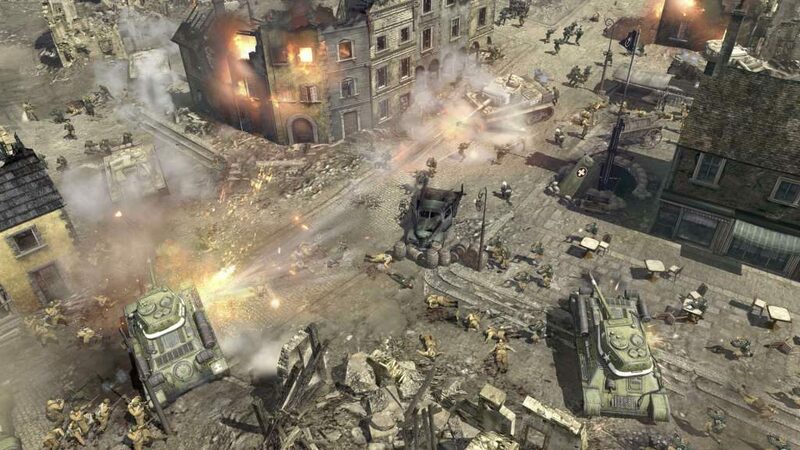 World at War dropped the characters into the last portion of the war, focusing on the Pacific Theatre. Worth noting is this series of games started the mainstay Call of Duty mode: Nazi Zombies, as well. Since then, the series has remained in the modern or near-future settings. 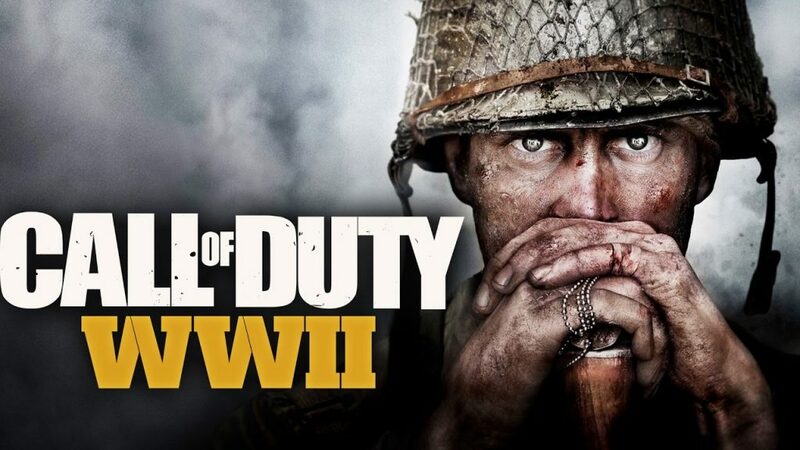 Call of of Duty: WWII is the next installment of the series and will focus solely on killing Nazis again, setting the game entirely during the European theatre. Not only will players be shooting at living Nazis in the series, the undead have risen again and will be in the WWII Nazi Zombie multiplayer mode as well. Medal of Honor is a rarity, in that it doesn’t stray from its roots very often. The first twelve installments of the series focused wholeheartedly on World War II, jumping around at different battles. They have gone “modern” only in the most recent games with their scenario. Medal of Honor only earns its spot on this list due to its amount of games. The overwhelming amount of installments in the series focus solely on killing Nazis and the other Axis members. And that’s alright with us. Not all Nazi-killing games are first person shooters! We have to look at some of additional genres for a good time. Company of Heroes (and it’s sequel, Company of Heroes 2) has been regarded as one of the best real time strategy games out there. Keeping up with rival games like StarCraft and Command and Conquer for its depth, the series focuses on the realistic WWII-era theatre. The first game focuses on the Americans being in the battles of Normandy, starting with D-Day as the first level. Meanwhile, the sequel takes players on the Eastern Front with the Russians. 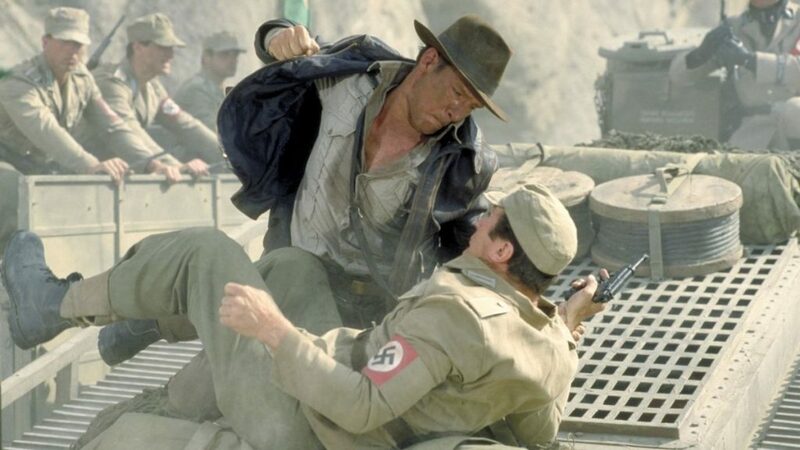 In both games, the Nazis are the antagonists in a well-read fictional adventure that could easily have been ripped from the history books. Jesse Collins brings over a decade of knowledge and experience in the video game industry. In his work, Jesse keeps up-to-date and modern to the best of his ability in the ever-changing industry. 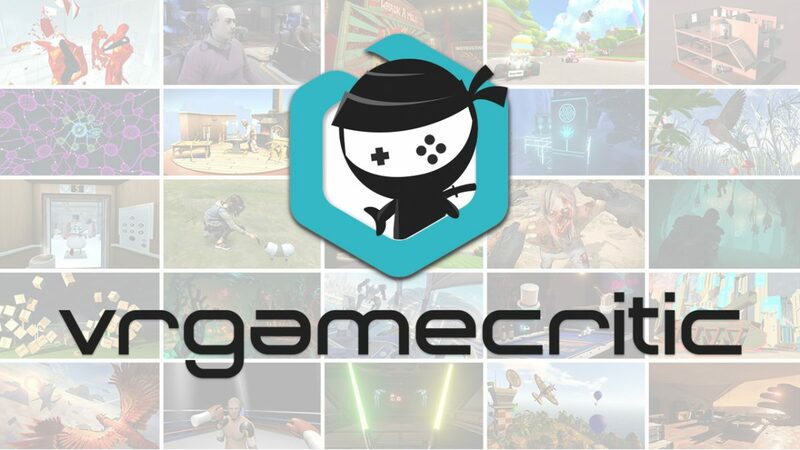 With prior experience in public relations and marketing for indie development video games, Jesse has also been a journalist for several publications in the past. He doesn’t THINK outside of the box, he LIVES outside of it.